Bobo Ndima, also know as Bob the stylist, plans to host a fashion festival in the foreseeable future. 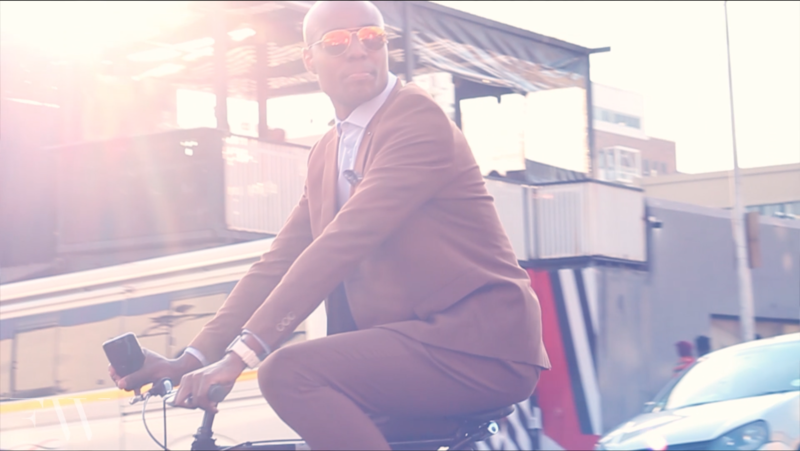 In preparation for this, he hosts Indwangu Rides in Maboneng, Johannesburg, where all fashion lovers gather dressed for the allocated theme. On this Sunday, the cramped Moboneng streets in Johannesburg are full and aloof with random tourists and Joburgers minding their own business. Outside Love Revo café, around 1pm, the area begins to fill up with some of the best dressed jewels in central business district. First it’s the music that permeates through the air and fills the senses, next it’s Bobo taking a step outside to overlook the street, presumably in search of any dandies in sight. It’s almost like a classic movie. Dandy, is the theme of this day’s event. Soon the place fills up with suited bodies, brogues foot steps, brimmed hats tilting, bobbing bicycles and cameras clicking away. Bobo says this event series makes up deposits into a fashion festival venture. This is promising because Bobo created the perfect atmosphere; sophisticated, mellow, sociable, organised and aspirational.